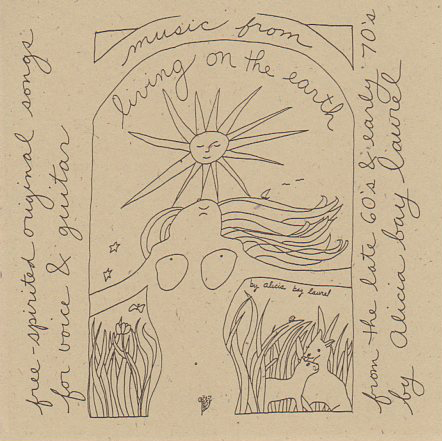 Posted on April 20, 2007 by Alicia Bay Laurel	in Blog. April 19, 2007. 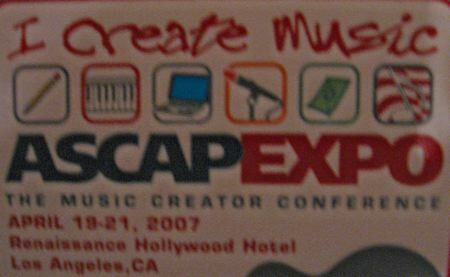 I attend the ASCAP (American Society of Composers, Authors and Publishers) Expo, an annual conference for songwriters, composers, music publishers, and music producers, at the Hollywood Renaissance Hotel, the same place I attended the TAXI Road Rally (conference) last November. I’ve been a member of ASCAP since 2000, when I released my first CD, both as a songwriter and as a publisher. ASCAP is what’s known as a performance rights organization, that is, they collect money from radio stations, television and movie companies, and elsewhere copyrighted music is performed, on behalf of publishers and songwriters who are members and distribute it to them. 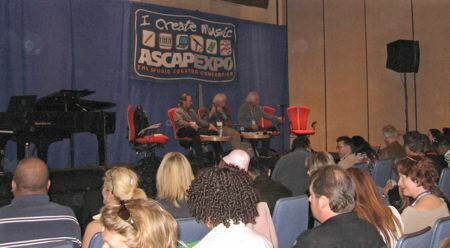 My primary interest in attending conferences of this sort is to learn more about the business of music, so I attended a panel called “Making Money as a Songwriter, Composer and Music Publisher,” moderated by Todd Brabec and his twin brother Jeffrey Brabec, authors of Music, Money and Success: The Insider’s Guide to Making Money in the Music Business. Todd is the Executive Vice President of Membership at ASCAP, and Jeff is Vice President of Business Affairs of the Chrysalis Music Group, one of the largest music publishers in the business. The third panelist, Ned Hearn, practices entertainment law in San Jose, and specializes in issues related to digital distribution of musical compositions. They agreed that sales of CDs and the fortunes of record companies have been sliding down due to illegal downloads and filesharing of music from the Internet. One of the few areas that music sales are flourishing is cell phone ring tones, which used to be only available as midi versions of licensed melodies, but, now that the phones can play actual recorded songs, licensing of studio master recordings has picked up. 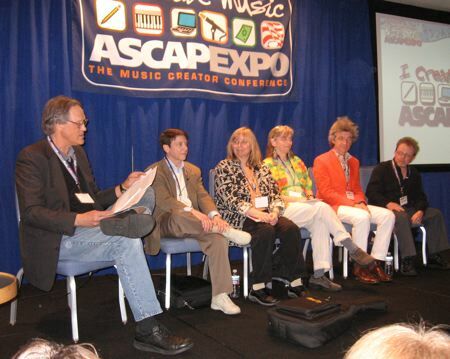 Much more optimistic were the panelists on “You’ve Got to Be Kidding: Writing Children’s Music.” Moderated by folksinger/songwriter Tom Chapin (far left), the lively panelists (left to right in photo): Dennis Scott, Cathy Fink, Marcy Marxer, Dan Zanes and Paul Williams. Tom Chapin, when asked the difference between songs for children and songs for adults, replied, “A song for an adult is ‘I’m talking to you.’ A song for children is ‘I’m talking to you and your five year old.’ ” He advised us not to dumb down the lyrics or talk down to kids, simply to be clear, unlike, say, Bob Dylan’s lyrics. Cathy Fink and Marcy Marxer advised us to perform for free for children in hospitals, day care centers, and after school programs (“They will NEVER turn you down, and if you can actually entertain kids who are sick in bed for more than thirty minutes, you are a genius.”) Cathy and Marcy work together as songwriters on film and TV projects, and also perform folk music for adults and for children at different shows. Dan Zanes, a prolific writer of children’s songs, is a rock musician who wanted his daughter to have high quality music, and began by writing songs for her. He told us he writes from the child part of himself.